What are the best Disney World hotels? 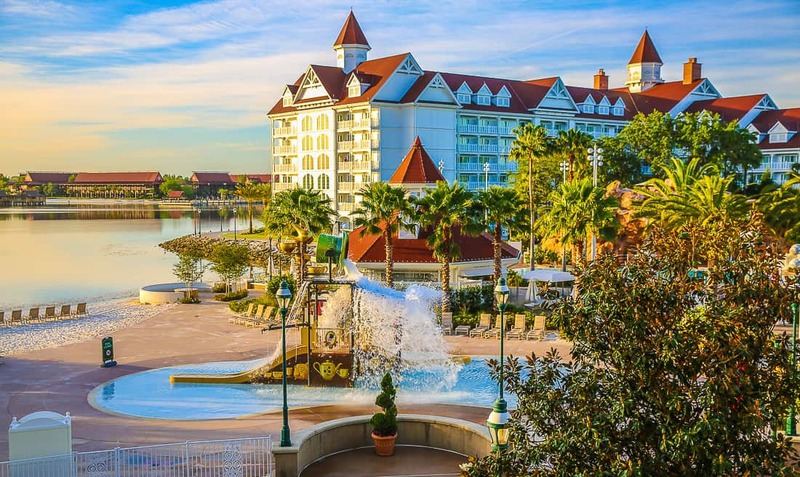 Orlando has so many hotel options, but here’s a Disney resorts list of the absolute best. Staying On Disney Property or off site (or both)? There are clear advantages to each choice, depending on your vacation style and budget. 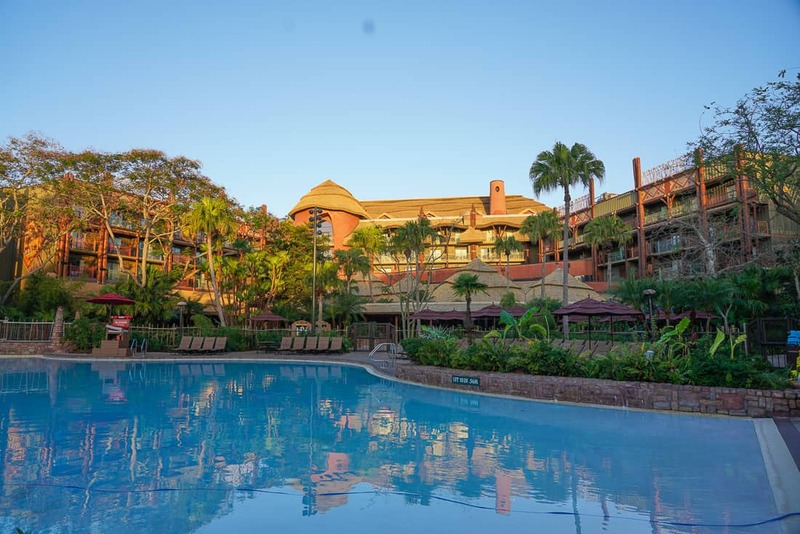 The best off site Disney World hotels offer better value on one hand as well as a more luxury experience than Disney resorts. Disney resorts certainly have advantages. While Disney resorts are strong in location, park transportation, Fastpass availability, off site resorts offer much more competitive rates for those seeking value. 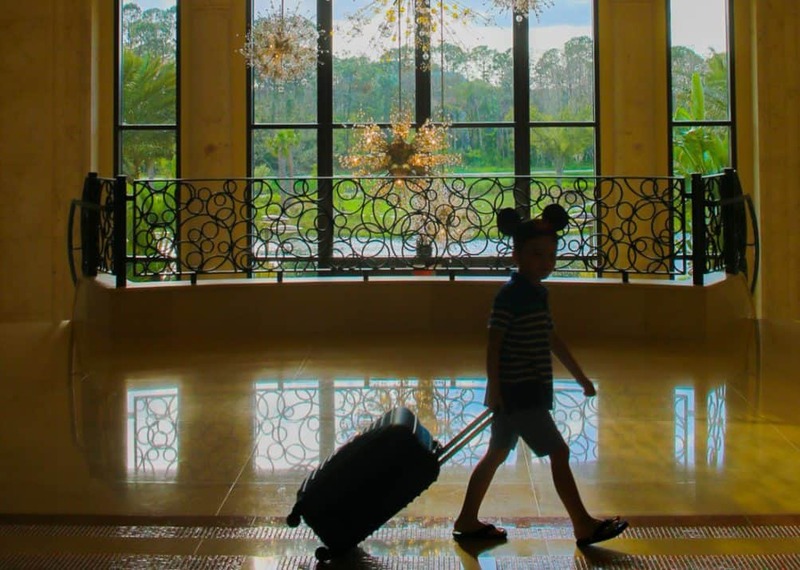 How luxe are the Disney deluxe resorts? For those seeking luxury, the offsite resorts offer a five-star level of service that the Disney resorts do not. We break this down for you. I have stayed at nearly 30 Orlando properties in order to find the best. If they were not ones I would return to, they are not on this list. I have covered a variety for varying budgets and vacation needs. 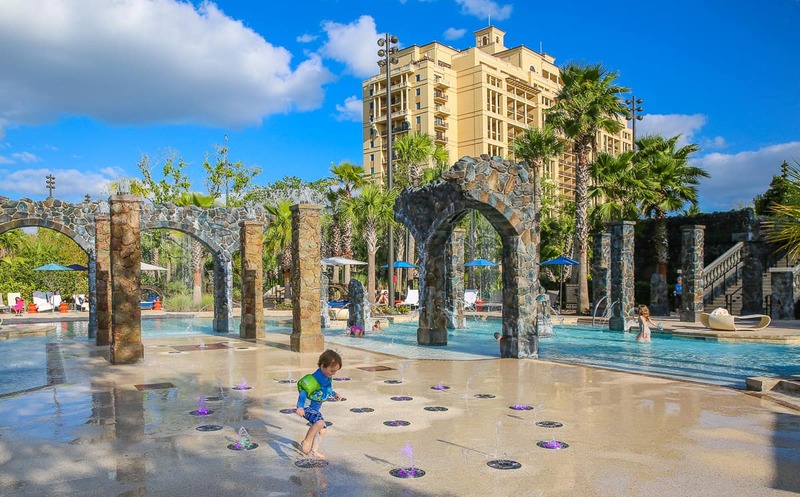 There’s so much to love about Orlando resorts and their exceptional amenities for families. Concluding superhero day at Ritz Kids at the Ritz Carlton Grande Lakes. 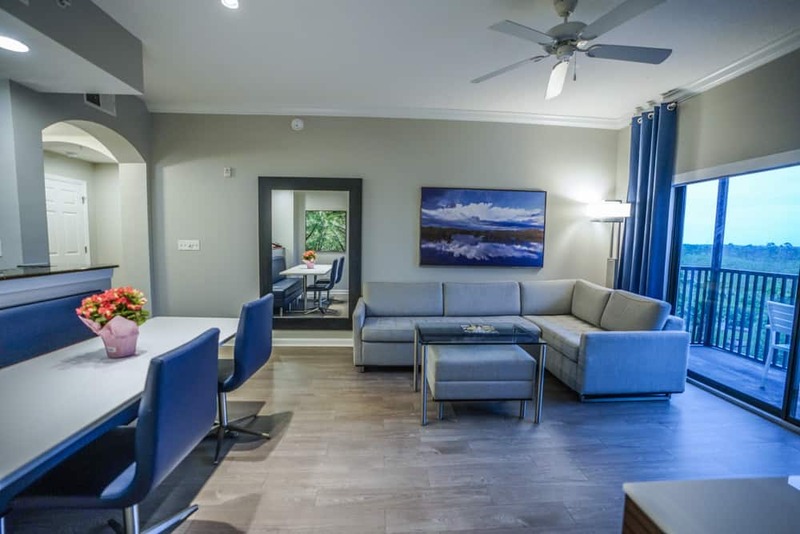 Central Florida’s only true five-star Mobil resort, The Four Seasons is in its own league for service, design, pool amenities, and room comforts. The park-view rooms face all of the Disney parks as well as beautiful sunsets and fireworks in the distance. Standard rooms come with a King bed and queen-sized sleeper sofa. We love the intimate feel of hotel and the luxurious rooms. We think it offers the best character meal in all of Disney World, the Goofy & Friends Breakfast offered Saturdays and Thursdays. 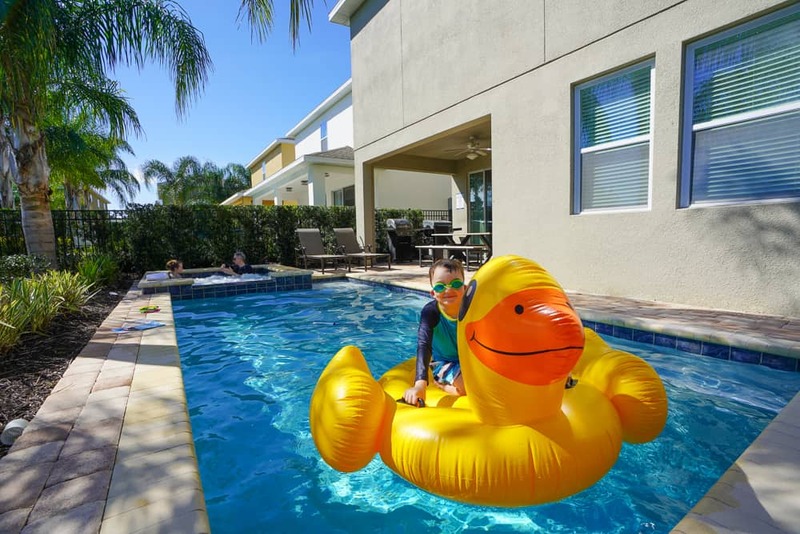 The pool complex is one of the best in Florida for kid-friendly options, attentive service, and design. The kids’ club is free of charge. Four Seasons guests now qualify for Extra Magic Hours and a 60-day Fastpass booking window. Park transportation is provided by luxury coaches that run on a set schedule. 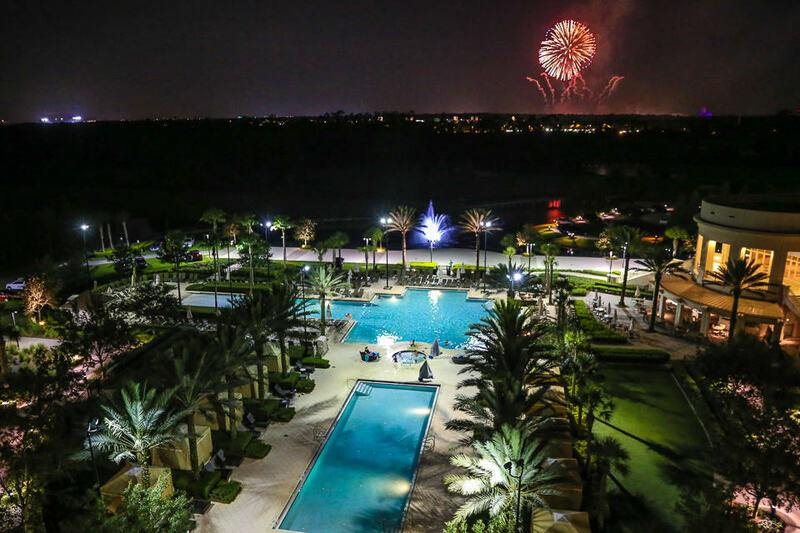 Read “Four Seasons Orlando – 11 Reasons We Can’t Stay Away” . The lazy river, water slides, and pool areas are outstanding at the Four Seasons Orlando. The Waldorf Astoria Orlando is a great option for those seeking a close location to the Disney parks and the services of a luxury hotel. 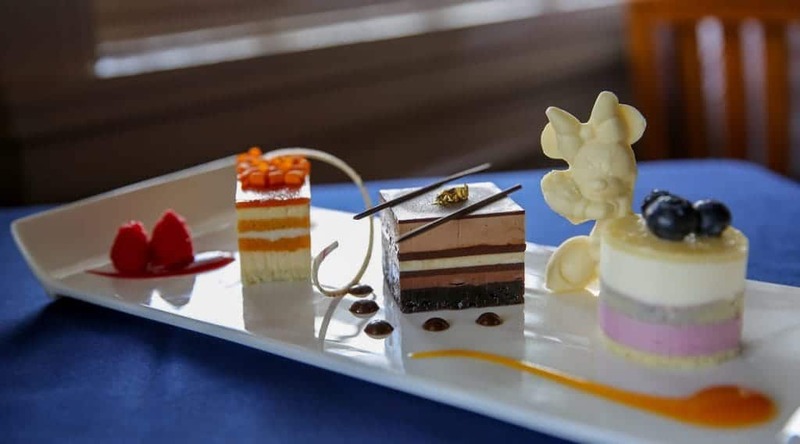 What we love about the Waldorf is the many special activities and culinary events that the resort offers for families in the summer, the Food & Wine festival at Epcot, and during major holidays. 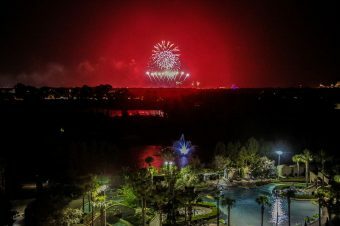 The park facing rooms have great views of the Hollywood Studios Star Wars fireworks shows. Rooms have two queen beds or kings, and there are several suite options that include massive living rooms with sleeper sofas with additional joining rooms. 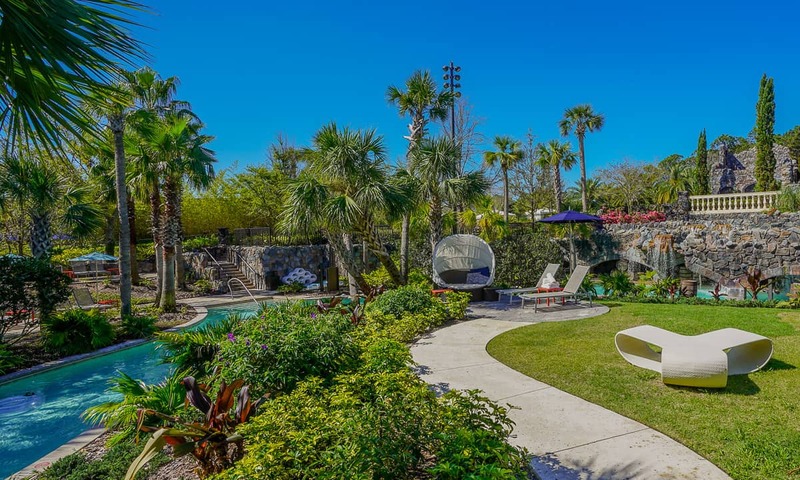 While the pool area is somewhat simple by Orlando standards, the Waldorf shares its property with the neighboring Hilton Bonnet Creek and its lazy river and water slides. The Waldorf pool is perfect for a relaxed day in a pool cabana. The Waldorf Astoria Orlando Spa is one of our favorites, too. Read our full review of the Waldorf Astoria Orlando. Situated closer to Universal and SeaWorld, the Ritz Carlton Orlando offers guests most luxurious club level experience in town. The Grande Lakes property is shared with the JW Marriott resort that has its own pool with a lazy river. Both hotels share a spa with a serene spa pool open only to spa guests. Guests at both properties have access to a wonderful kids’ club, but Ritz guests receive two hours complimentary. 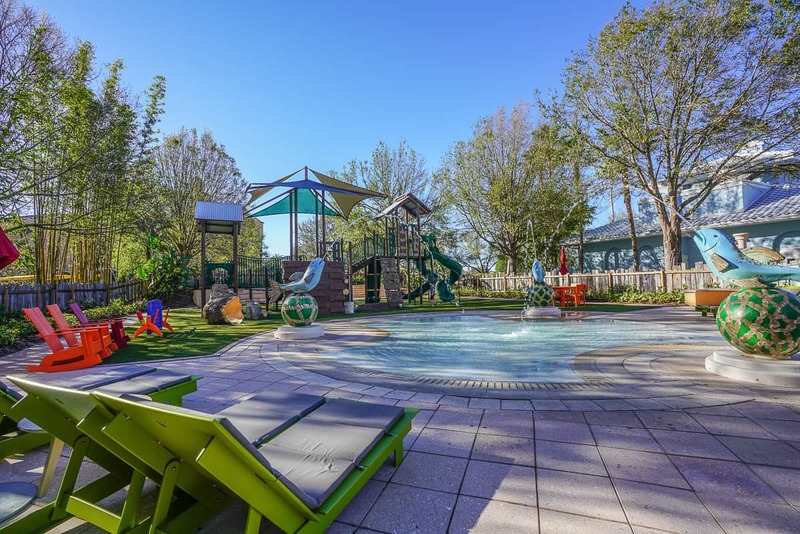 An outstanding feature for families with young children is an enclosed splash pool and playground. Parents can relax and receive poolside service while their littles play. A unique feature of the resort is so many onsite gardens. The restaurants and culinary team at Grande Lakes were area leaders in farm to table cuisine. The hotel is adored by locals for staycations and its many holiday events. These are the most luxury Marriott options for an Orlando vacation. 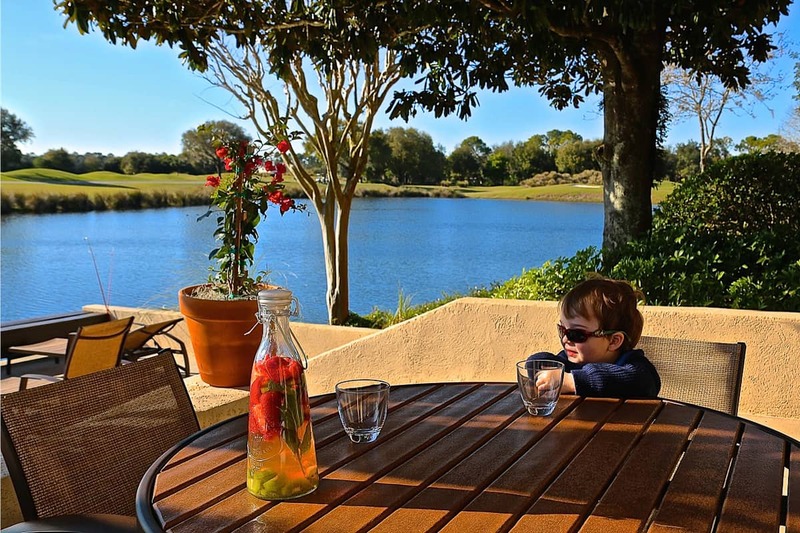 Read our full review of the Ritz Carlton Orlando, Grand Lakes. The new Ritz Kids splash area and playground is great for kids to enjoy while parents relax. There are many deluxe Disney resorts scattered around the four theme parks and Disney Springs. The most popular Disney onsite hotels sit along the Monorail to Magic Kingdom or around Epcot for their proximity. Outside the Disney bubble, these hotels are expensive for 4-star amenities and services, but many find the unique themes and conveniences worth every penny. The premiere Disney resort is the Grand Floridian. Disney’s Grand Floridian is Disney’s most deluxe resort modeled after grand Victorian era hotels filled with that era’s children’s literature. Characters like Alice, Mary Poppins, and Peter Pan scatter throughout the inlaid marble floors, topiaries, and other design details. We love Grand Floridian for the vibrant atrium lobby alive with the sounds of the ragtime band’s balcony performance. The resort also has a concentration of great resort restaurants: Citricos, Narcoossee’s, and Victoria & Albert’s considered one of the best restaurants in the Southeast. The Grand Floridian Villas (A Disney Vacation Club) have newer rooms we prefer, but the resort rooms offer two different club lounges. There is a family pool with a waterslide, an entrancing Mad Hatter splash pad, and a main pool. Guests have Monorail access to Magic Kingdom. Read our full review of the Grand Floridian and its restaurants. Sunday brunch at the Grand Floridian. The Disney Animal Kingdom Lodge is unlike any resort experience in the US. With select hotel rooms facing a savanna filled with animals, guests get to experience an animal kingdom. The resort also boasts two favorite restaurants at Disney World: Boma and Jiko. Hotel rooms come with a king bed and twin sized sleeper sofa, two queen beds, or a queen with bunk beds. The premium rooms face the savanna while other rooms face the pool area or parking areas. The club lounge, the Kilimanjaro Club, is on the top floor of the Jambo House, overlooking the multi-story lobby. 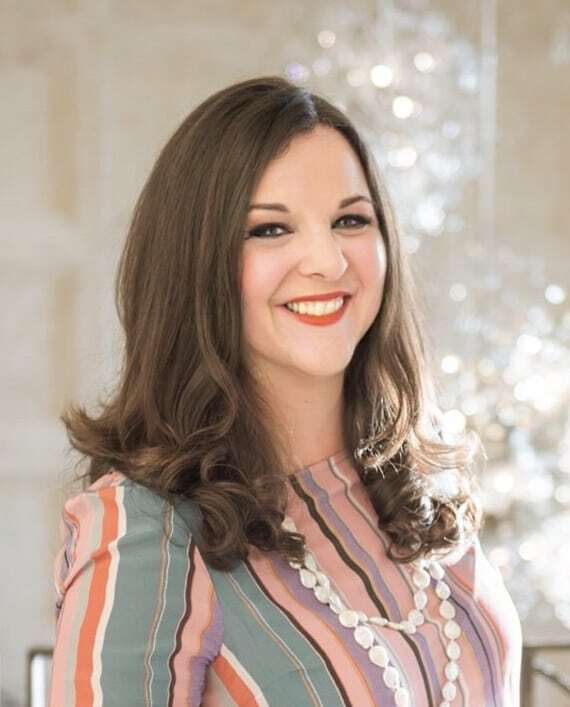 An extra perk of the Animal Kingdom Lodge is the packed calendar of daily activities educating guests on African culture, daily cookie and cake decorating, and adult wine tastings. There are Disney Vacation Club Villas at the Jambo House building or at the Kidani Village building across the savannah. The Kidani Village has its own pool area and the popular Sanaa restaurant with views of zebra and giraffe from the windows. Read the full review of Animal Kingdom Lodge and our guide to Animal Kingdom rides. Animal Kingdom Lodge offers a unique resort experience with many ways to engage with the cultures of Sub Saharan Africa. Disney’s Contemporary Resort is a fan favorite because it is merely steps from the entrance to Magic Kingdom. 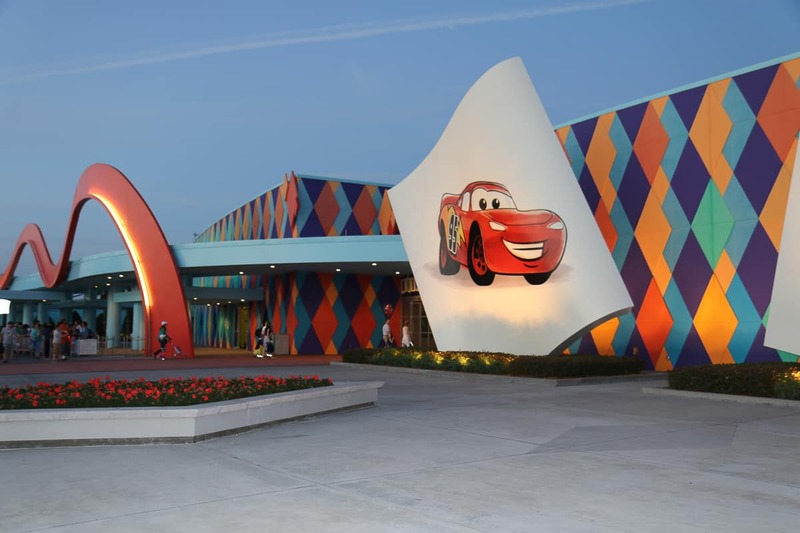 It’s one of our favorites because it houses California Grill, a must for any visiting foodie family. It’s theme park room views are obviously closest to Magic Kingdom and their fireworks, too. The Contemporary is known for the Monorail running through the building. We don’t like the noise and atmosphere of its lobby, so we prefer booking garden view rooms in a separate building by the pool. 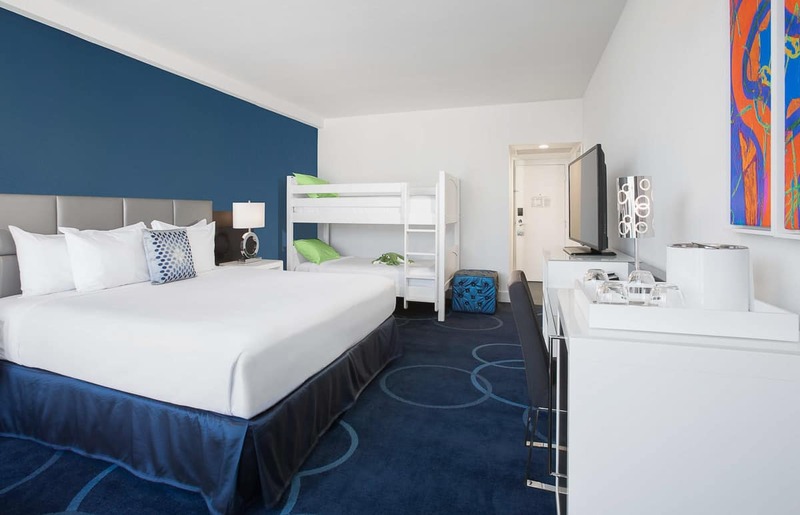 Standard rooms are sleek and modern in design with some bright yellow pieces of furniture and hidden Mickeys. Both California Grill and the Wave of American Flavors are strong restaurants, and the Contemporary now has the new Pixar Party kids’ club on site. The Bay Lake Tower next door houses the Disney Vacation Club Villas. The premium view rooms have balconies with Magic Kingdom fireworks views. The pool area here is considered more fun for kids than the resort’s next door. 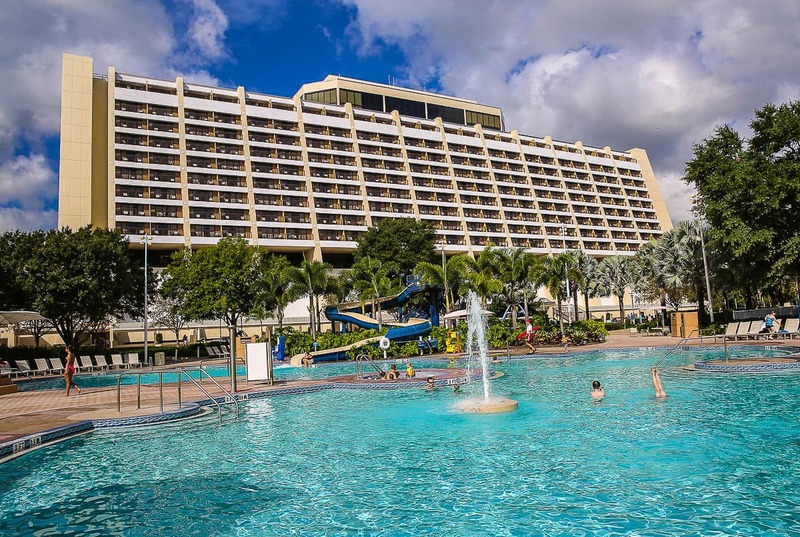 Read “Disney’s Contemporary Resort & California Grill: Disney World’s Best?”. The Contemporary Resort’s Garden Wing has rooms with patios that open out onto the pool area. Disney’s Polynesian Resort is popular for its Pacific island feel and monorail location. It was, with the Contemporary, the first Disney World resort, and many families have a deep nostalgic attachment to its South Pacific feel. It’s lush landscaped lobby is the epitome of tropical vacation imagery. Families love Ohana for breakfast, and adults love Trader Sam’s for cocktails. Dole Whip is available on site, and guests can take the Monorail or boat to Magic Kingdom. Rooms are some of the largest in all of the Walt Disney World Resort. Its popularity means it often commands the highest nightly rate on property. All rooms sleep five with two queen beds and a day bed. 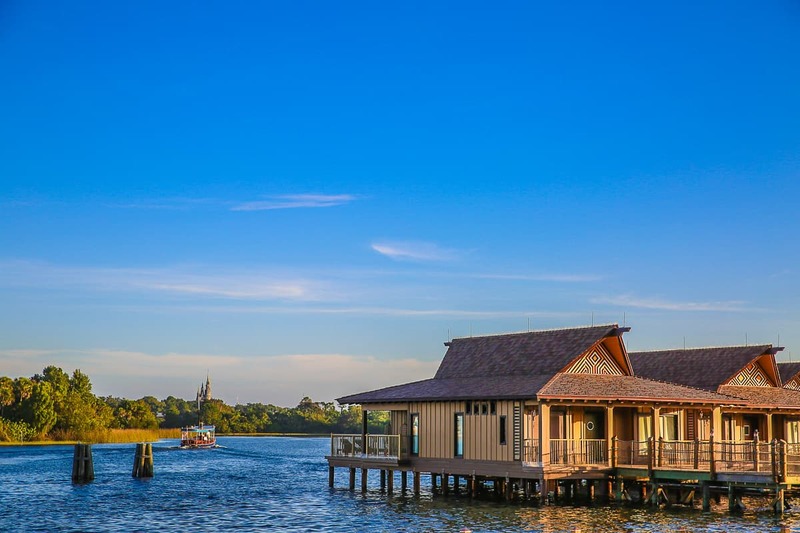 The over-the-water bungalows are some of the most unique (and expensive) lodging options on Disney World property, though there are more standard DVC units of every size as well. Read our review of The Polynesian Resort and its Club Level experience. The Polynesian’s most luxe offerings are the over the water bungalows with views of Magic Kingdom’s fireworks. Disney’s Yacht and Beach Club are popular for its shared pool complex, Stormalong Bay, and walkable distance to Epcot’s back door. 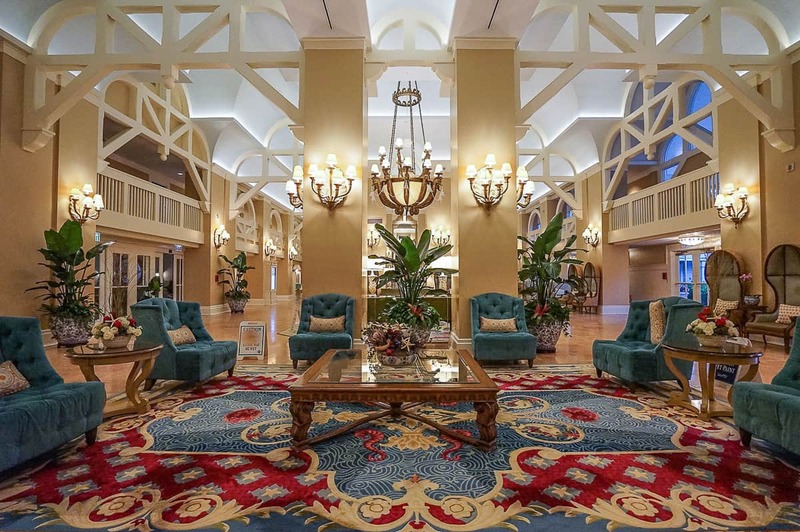 Both are modeled after traditional beach resorts of New England and have lovely, formal lobbies. Guests can walk easily to Epcot or take a water shuttle to Hollywood Studios. Stormalong Bay has a super fun pirate ship waterslide and a sand bottom pool that make it a great resort choice during warm months for swimming. The most sought-after reservation on property is the small Beaches N Cream old fashioned ice cream parlor, but there is a take our window for those seeking the famous Minnie “kitchen sink” sundae. Guests with kids tend to prefer the Beach Club, while guests traveling without kids often favor the Yacht Club, which also has a large convention center attached. The Beach Club offers DVC units, while the Yacht Club does not. Read our full review on the Yacht and Beach Club. The lobbies of the Beach and Yacht Clubs are elegant models of New England seaside clubs. The pool areas are pure fun. Disney’s Wilderness Lodge is on Bay Lake tucked behind the Contemporary Resort, but it is not a “monorail” resort. The Pacific Northwest theme is beautiful and serene. Many refurbishments are done on the resort, and guests can enjoy a new wing of stunning Disney Vacation Club villas at Copper Creek or Boulder Ridge, or reserve traditional resort rooms. Geyser Point is an open air restaurant with lake views and a good menu, and Disney Vacation Club members can enjoy classes and mixology (cocktail making) at the new members only lounge, Reunion Station. The Cabins at Copper Creek are stunning and offer screened-in lakefront porches with hot tubs. We loved these. Read our full photo feature of the Copper Creek Cabins at Wilderness Lodge, the newest luxury vacation option in the Disney Vacation Club group. 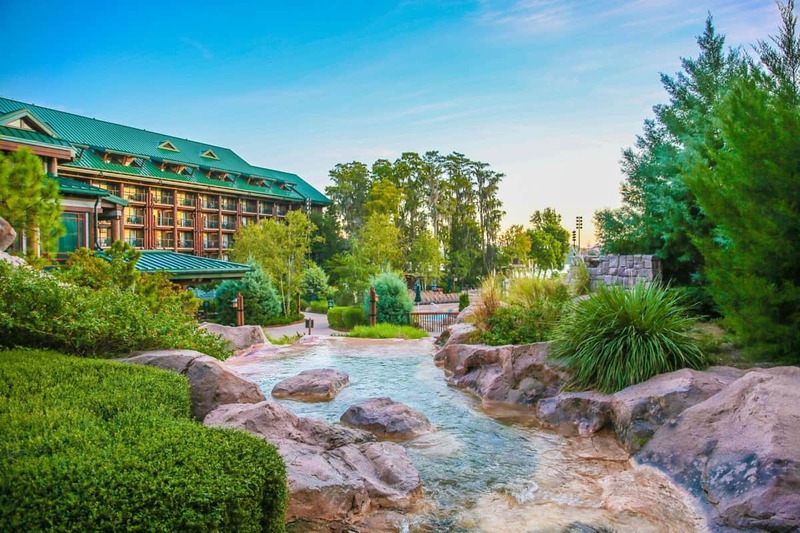 The streams, flora, and fauna give Disney’s Wilderness Lodge a relaxed feel. The Disney Rivera Resort- NEW in 2019! Set near the Caribbean Beach Resort, this new all DVC property will open in the fall of 2019. Based on all of the newer DVC rooms like those at Wilderness Lodge, the Riviera Resort will be a hot ticket. I predict the theming of Walt’s European travels will give this a Mediterranean feel more luxurious than the other resorts. The Riviera will be connected by Disney World’s new Sky Line transportation system to Hollywood Studios and offer a rooftop lounge with views of both Epcot’s and Hollywood Studio’s fireworks. Because of the on-property “convenience fee” built into the deluxe Disney resort prices, it’s always a good to use every saving strategy. The best money saving tip we use is to book the Disney Vacation Club rentals by renting DVC points from owners. The other benefit besides saving money is that the DVC rental options are often newer and more comfortably appointed than the hotel rooms. Rather than booking from strangers, we use David’s Vacation Club as the intermediary service that protects renters and represents the owners. You can rent Disney Vacation club points to stay at the best onsite Disney hotels provided that they can match you with an owner. Aulani, the Grand Californian at Disneyland, and the Vero Beach property are also options as Disney Vacation Club villas. The David’s DVC rental site has a point and cash calculator that shows the point and cash amount based on your travel dates at the DVC properties. Using points offers a considerable discount. Seriously, check out your stay dates for yourself on David’s DVC calculator vs. on TripAdvisor as a hotel reservation. Fill out a form with your top resort choices and dates and make a refundable deposit to start the booking process. David’s team begins seeing what owners and points match, and they respond with availability. You can tell them to keep looking, choose something, or ask for your refund. In my times using them, the first time they came up with nothing I wanted, but I asked to be put on a wait list. I did get a call from them with availability and booked at that time. The second time I asked for a refund, and it was issued quickly. Owners are restricted to how many reservations they can make each year on other people‘s behalf, so most owners look for large point reservations to use up these points. You may have a difficult time if you are trying to rent with a reservation valued less than 44 points. Valued at about $700, most owners want bigger reservations to sell as many points as possible within their year. If an owner has 100 points and makes a big reservation the costs 80 points, that’s a scenario where there is an owner ready to make a much smaller DVC request for you of 20 points. David’s vacation rentals are considered DVC reservations, not hotel reservations. They are made through the regular Disney site of DVC villas by the owner. And the reservation will be treated like a DVC one, meaning that the resorts will not provide daily mousekeeping since it isn’t classified as a hotel reservation. Most important to note, they’re nonrefundable and non-changeable. Unfortunately the inflexibility doesn’t work for everyone. Disney Dining Plans can be added 30 days before check in. The plan must be the duration of the reservation without exception. The owner of the Disney point rental must call the DVC center and add the dining plan to the reservation and pay in full. To avoid giving a credit card to a stranger, David’s suggests buying Disney gift cards in the amount of the plan’s costs. Owners who work with David‘s rental receive a partial payment when the reservation is made with their points and the remainder of their payment once a reservation begins at check in. This protects David‘s customers who use them as an intermediary like an escrow account. This is a more secure process than renting directly from an owner you do not know from a Disney-related forum. Technically not an official Disney hotel, guests of the Walt Disney World Swan & Dolphin hotels receive almost all of the same benefits except airport transfers on the Magical Express. We recommend The Swan, which corresponds to a Westin property. It’s located next to the Boardwalk resort and shares water shuttles to Epcot and Hollywood Studios with the Epcot area Disney resorts. Swan benefits boast the same 60-day Fast Pass booking window that Disney’s resort guests receive. This Epcot area is a favorite for those using Starwood or Marriott points to save on a Disney vacation, and their suites qualify for the new Club Level VIP Fast Passes. The on-site restaurants are very strong, too. Read about our favorite rooms at the Walt Disney World Swan. 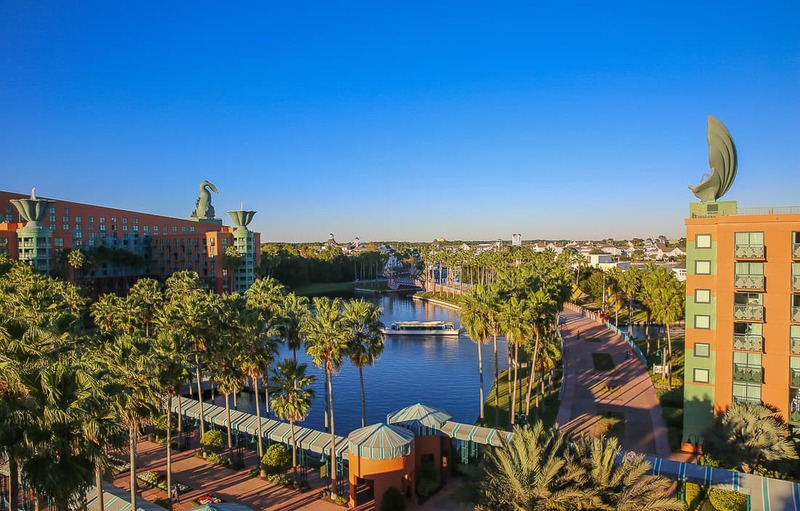 The Swan is located next to Disney’s Yacht Club and Boardwalk Resorts but is actually a Starwood hotel with Fast Pass benefits, Disney bus and boat transportation, and 60-day Fast Pass reservations. The Art of Animation is not a luxury hotel, but we love it anyways. Nothing more than spacious motel rooms, the themed family suites show off The Lion King, Finding Nemo, or Cars movie sets and characters. The gardens in between the resort buildings are filled with giant sculptures of the movie characters. 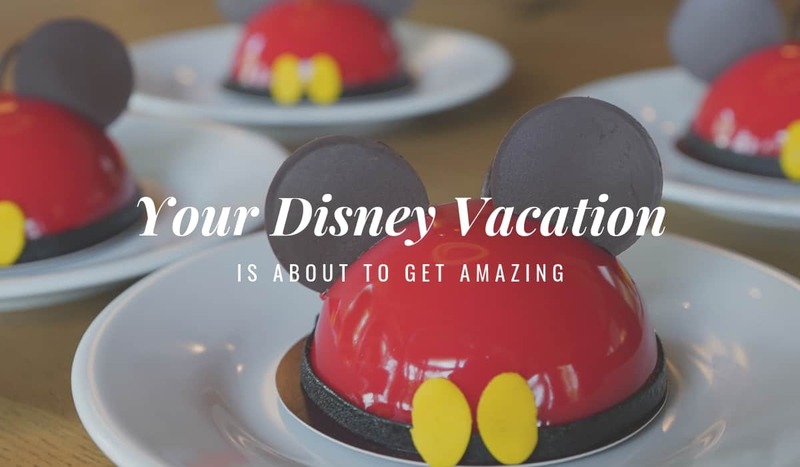 It just feels festive and celebratory, particularly for a family’s first trip to Disney World or a trip where a family plans to be at the parks most of the time anyways. The pool areas are very nice, though crowded, and the on-site cafeteria is a step up from the other value resorts with a more sophisticated menu appealing to millennial parents (think Indian food and vegan options). 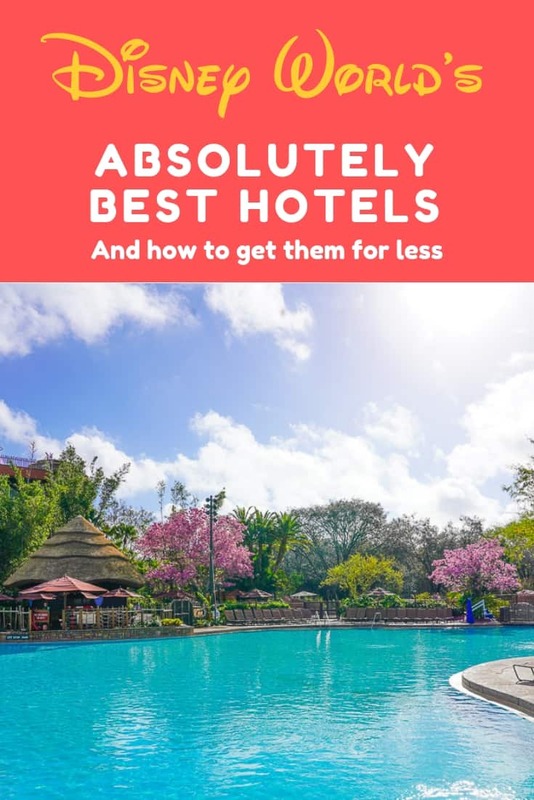 We suggest it is a great place to start the family vacation to explore the parks before checking into one of the off-property luxury hotels for a bit of rest by the pool before flying home. The Art of Animation punches with the Disney theme better than any other resort. 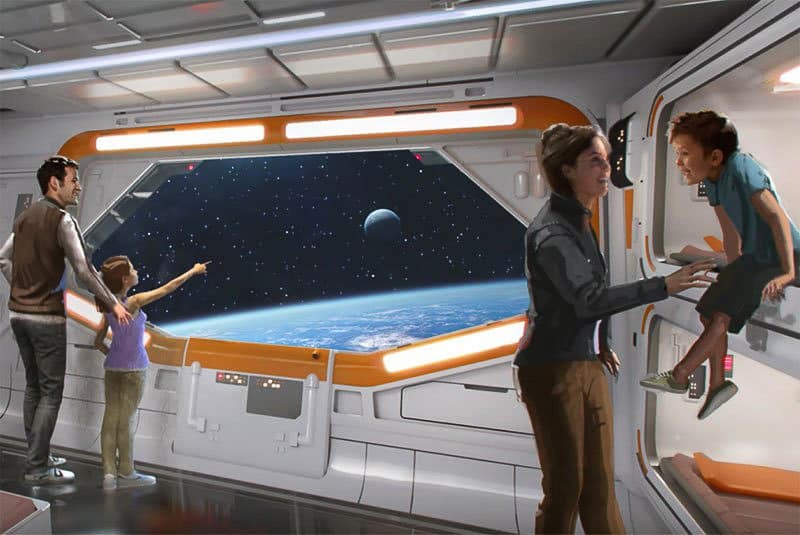 This much anticipated hotel will open after the rest the new Hollywood Studios Star Wars: Galaxy’s Edge rolls out in the later half of 2019. 2020? 2021? My guess is that Disney is going to redefine what a hotel experience can be. We know guests register for two-night stays in what Disney is calling a luxury resort. It seems like guests will cycle through an itinerary of experiences during their time. Families are given Star Wars inspired costumes to wear as they lounge on their beds looking out windows that simulate views from a star fleet. The resort will have direct access to the Star Wars land inside Hollywood Studios, too. Star Wars resort rendering courtesy of Disney Parks. Encore Reunion Resort is unique in that guests experience a full service resort while enjoying their own vacation home with a private pool. Compared to other Orlando vacation home options, Encore offers check in, room service, housekeeping options for all of its home rental guests. Houses begin at three bedroom and go up to twelve bedrooms. The resort boasts a large waterpark for children as well as four giant waterslides. Sometimes you just want a kitchen and bedrooms for everyone. These options have more space than hotel suites, and guests can still have the convenience of resort amenities. The Villas of Grand Cypress is a flawlessly rated golf resort with kitchen amenities. It is often the #1 rated Orlando resort on TripAdvisor. Those needing more than a two-bedroom villa can book them side by side for large groups. The resort is within easy access of the parks on back roads that get little traffic. Guests at the Grand Cypress have access to all amenities at the Hyatt Grand Cypress across the street, but a car is required to go between properties. 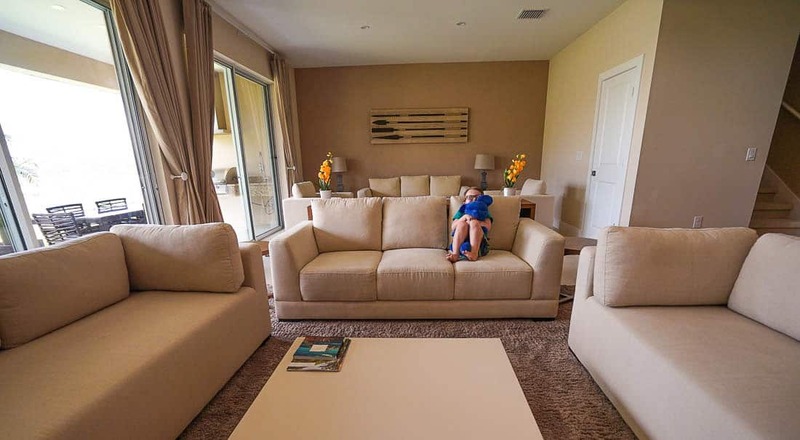 Read our full review of the Villas of Grand Cypress. The premium corner villas at Villas of Grand Cypress have massive patios that guests can fish from. Magic Village Resort located next to Animal Kingdom is a stylish option for those wanting three and four bedroom villas and kitchens. Resort amenities are limited to a pool, gym, and playroom. There’s a restaurant on site serving lunch and dinner. These modern condos have patios with outdoor living areas, dining tables, and serious grills to cook for 20. The resort offers its guests a concierge service to book park or airport transportation, grocery delivery, or VIP park tours. The condos are designed for entertaining friend and family gatherings with ease. The ground floors contain a full-sized laundry room, guest half bath, garage, and open kitchen and living room. Each bedroom has its own bathroom. The master suites have balconies and massive walk-in closets. Read our full review of Magic Village. Magic Village condos are either 3 or 4-bedrooms. The Grove is a new property that can easily access the Walt Disney World resort by backroads at its Western gate. The condos come with two and three bedrooms, full kitchens, and washers and dryers. The condos are modern and stylish and they offer great value for space compared to onsite options. The massive water park offers the area’s only resort surf simulator as well as a spa and fitness center. The Grove’s condos are spacious and comfortable and offer good value for extended stays. The Marriott Lakeshore Reserve is a small Marriott Vacation Club property is adjacent to the Grande Lakes properties of the Ritz-Carlton Orlando and JW Marriott. Guests have access to most of the amenities at the larger resorts next door, which is a plus, but the pools on their own are lovely and will keep the guests on site. The Omni Orlando at Championsgate is one of the largest resorts in the Orlando area and offers excellent pool areas and a new wave pool. The resort is about twenty minutes southwest of the parks, but its distance puts money back into your wallet. The Omni is one of Orlando’s best values. The resort offers more onsite activities than any in the area. There’s an expansive area with two pools and water slides for younger and older children, an adult pool, a wave pool, and a lazy river. Given room rates are often under $200, it justifies a pool cabana for the ultimate pool day. Here’s a tip: reserve midweek, and the place will practically be to yourselves. Read our full review of the Omni Orlando. 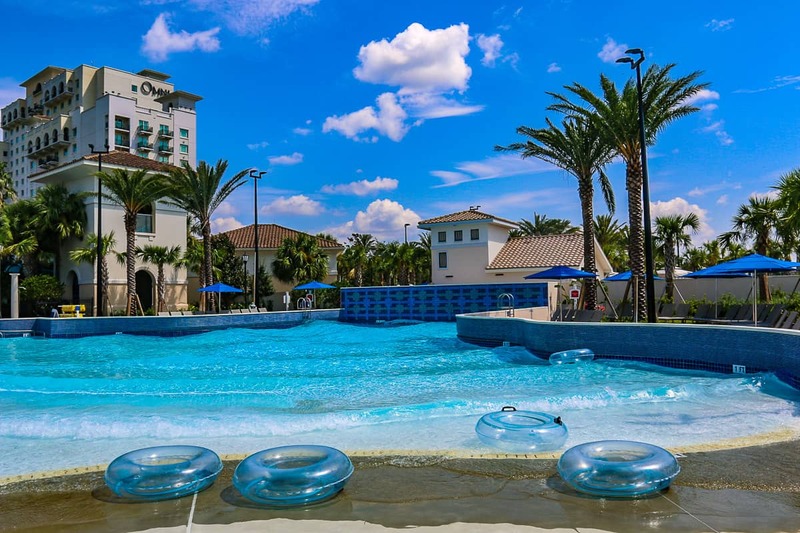 The new wave pool at the Omni Championsgate is super fun. The Alfond Inn is nationally recognized as one of Florida’s best hotels for its unique museum art collection. 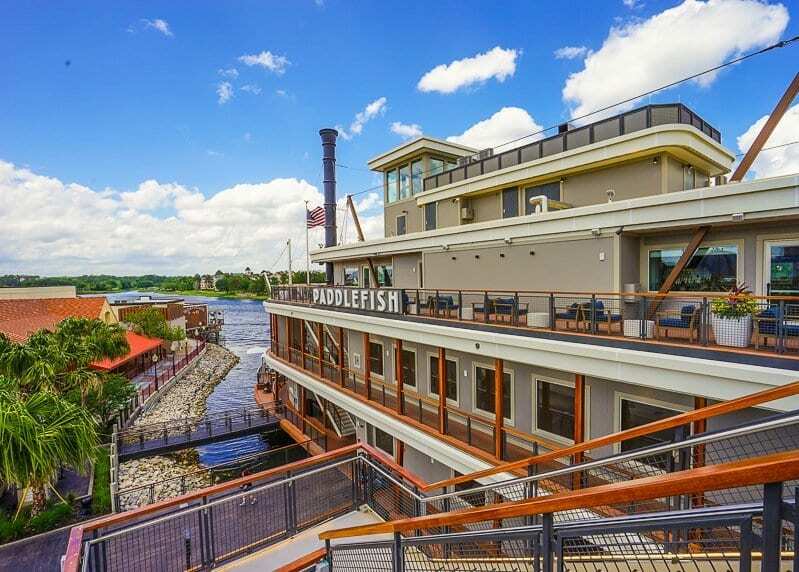 Near Rollins College and the Orlando area’s best museums and restaurants, it’s for those seeking a little culture before or after the theme parks. 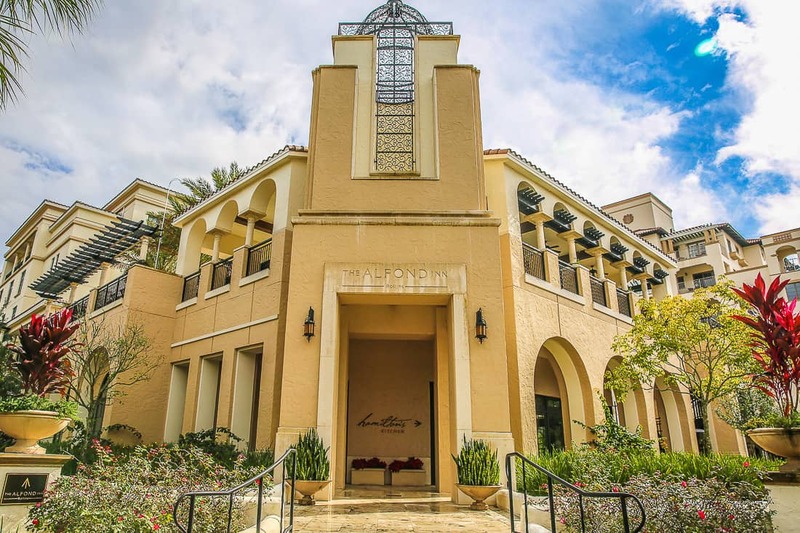 The Alfond Inn, adjacent to Rollins College in Winter Park, puts guests in the center of the art and restaurant scene of Orlando. 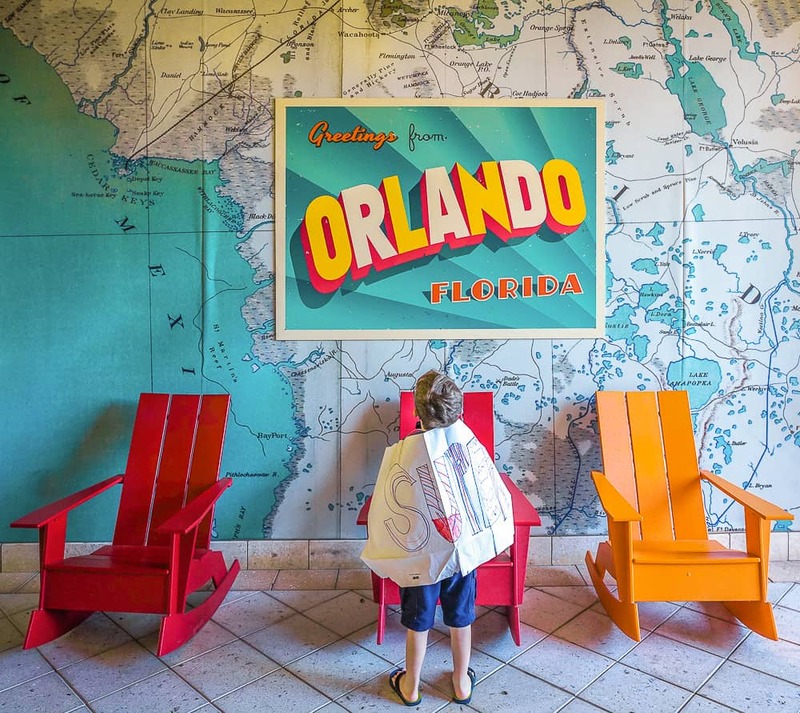 The B Resort Orlando is a stylish, budget hotel (by Orlando standards) located a walkable distance to Disney Springs that offers serious charms and value. A spa, salon, children’s play room, and pool make its amenities a step up from a Disney value resort. It’s an official Disney Springs hotel that offers regular bus transportation to all four parks. Certain reservations at the B qualify for onsite Disney benefits while Disney’s construction on their moderate resorts (Beach and Coronado Springs) continues. Read our full review of the B Resort. The B offers specialty rooms for families that include bunk beds or sleeper sofas, and some have large patios that open onto the pool area. Our guide to the best rides and restaurants at Animal Kingdom. BEST DISNEY RESTAURANTS at the parks and resorts for foodies. DISNEY SPRINGS’ best new places to eat. Why Mickey’s Very Merry Christmas Party is Worth it and the Star Wars dessert party is maybe not. Here’s another take on the best Disney resorts within the deluxe, moderate, and value categories. Headed to Disneyland? Read about their $5,000 signature suites. We always stay on-site but the off-site options you shared look great for families. 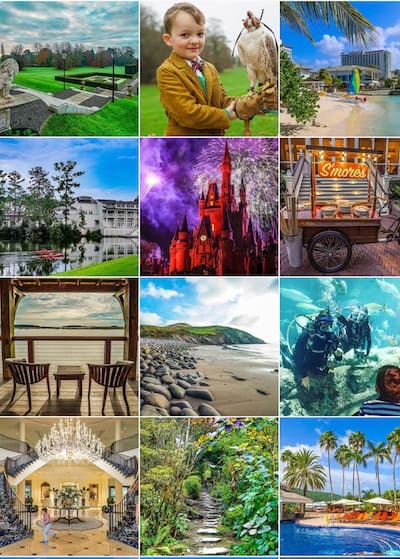 There are so many great options in Orlando, we are guilty of split stays so we can squeeze in as many experiences as possible!